Yesterday both former Synod President Gerald Kieschnick and current Atlantic District President David Benke made public comment on the Newtown situation, Kieschnick in his “Perspectives” column and Benke in an article in the New York Times. “Some who read this article may know what I mean when I say this sounds like Yankee Stadium in Newtown, Connecticut. In both cases, the pastor in question was simply responding in a pastoral way to people in need of healing and hope. He did so without in any way compromising the truth of what we believe, teach and confess. “I say now what I said over 11 years ago. If a Lutheran pastor is invited to pray in a public gathering and declines that invitation, he yields the platform, the microphone and the message to those whose witness to Christ and his redeeming love may, in some cases very possibly and in other cases undoubtedly, not be nearly as clear as our pastor’s would have been. “Elijah prayed in the presence of hundreds of prophets of false gods. Paul preached in synagogues and taught in temples in the presence of people who rejected Jesus as the promised Messiah. So did Jesus himself. “Our witness to the truth needs to be given to people who know not the truth. For that to happen, we must speak that witness in places where people who need to hear the truth are present. That may very well include other speakers who are present in those places. Former President Kieschnick further demonstrates why it is a good thing he is the former president. His arguments are lacking in theological acumen, to say the least. He presents the situation as simply a matter of a pastor being “invited to pray in a public gathering.” He neglects to mention that the “public gathering” in question is an interfaith prayer service, with all that comes with it. A “witness to Christ and his redeeming love” cannot be “clear” in that context without violating the unwritten contract that accompanies every invitation to participate in an interfaith service, namely, that no participant may present his religion as the only hope, to the exclusion of the others. Therefore the very nature of interfaith services precludes a clear, unambigious witness to Christ as the one and only hope of salvation. Further, the biblical examples that former President Kieschnick cites actually work against his case. To do what Elijah did at Mount Carmel (1 Kings 18) would mean mocking (at a minimum!) the futile efforts of the ministers of false gods: “Cry aloud, for he is a god. Either he is musing, or he is relieving himself, or he is on a journey, or perhaps he is asleep and must be awakened” (1 Kings 18:27). Does this ever happen at an interfaith prayer service? No, that is never done at interfaith prayer services. It is quite the reverse. And Paul’s preaching of Christ (Acts 13 and elsewhere) was so clear it brought him hostility and rejection, such that he told his opponents that they were “thrusting aside the word of God” and were “judging themselves unworthy of eternal life.” And Paul “shook off the dust from his feet against them” (Acts 13:46, 51). Does this ever happen at an interfaith prayer service? I think not. Likewise, to cite Peter and John (Acts 4) also works against Kieschnick’s case. Peter boldly proclaimed the exclusive nature of salvation in Christ alone: “This Jesus is the stone that was rejected by you, the builders, which has become the cornerstone. And there is salvation in no one else, for there is no other name under heaven given among men by which we must be saved” (Acts 4:11-12). “No one else”! “No other name”! Does this ever happen at an interfaith prayer service? No way! Participants at interfaith services do not get “persecution or imprisonment” from the unbelievers present; rather, they get plaudits and praise! To speak the truth in the presence of error requires that one clearly distinguishes and demarcates the truth from the surrounding error. However, when one joins as but one clergy participant among many in an interfaith service, with all of its attendant presuppositions, that necessary clarity does not happen. Such was the case at Yankee Stadium. Such was the case at Newtown. President Kieschnick was wrong then, and he is wrong now. “The Newtown reprimand was not the first time a pastor from the Missouri Synod has been chastised for taking part in an interfaith service after a national tragedy. In the weeks after the Sept. 11 attacks, the Rev. David H. Benke, the pastor of St. Peter’s Lutheran Church in Brooklyn and the equivalent of a bishop in the church hierarchy, was suspended from ministry for taking part in a huge interfaith prayer service held at Yankee Stadium. “Mr. Benke had broken the First Commandment — ‘I am the Lord thy God’ — by worshiping with ‘pagans,’ including Muslim, Sikh and Hindu clergy members, the Rev. Wallace Schulz, a senior official of the church, said then. Mr. Benke refused to apologize, and was cleared by a church panel in 2003 and permitted to return to ministry. 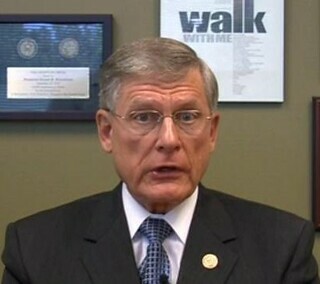 First of all, is President Benke questioning the sincerity of Pastor Morris’s apology? Is he implying that Morris “had his fingers crossed” when he apologized for causing offense by his participation? It was Morris’s decision to apologize, which he did. I think we should accept his words as sincere and genuine. Secondly, Benke sets up a false dichotomy, i.e., that if we decide not to participate in an interfaith prayer service, that therefore we are somehow “vacating Christian witness in the public square.” However, such is not the case. There are other ways, better ways, to give Christian witness, other than by participating in an interfaith service. Indeed, participation in interfaith prayer services muddies a clear Christian witness, as I have explained above. Benke’s “argument,” such as it is, is specious. “My participation in this service was a direct violation of the Holy Scriptures and the Lutheran Confessions, and consequently, violation of the Constitution, Bylaws and doctrinal resolutions of The Lutheran Church-Missouri Synod. I also recognize that my participation in this interfaith prayer service was a violation of my duties and responsibilities as an elected officer of The Lutheran Church-Missouri Synod. We took President Benke’s words as sincere when he made this apology back in 1998. So I don’t think we–or Benke–should call into question the sincerity of Pastor Morris’s apology now. And Benke seemed to understand the problems with interfaith services, as he stated in his 1998 apology. But now it sounds like he needs to go back to the drawing board on this interfaith thing. He got it right back then. Not so much now. That’s the problem, Carl. The synod should have the power to excommunicate heretics, or to disfellowship entire churches if they refuse to remove heretical clergy or members (like Kieschnick, Benke, and Matthew Becker). The LCMS’s current polity is going to be the death of it. The power to excommunicate is among the keys of heaven Christ gave to the Church. Within the Missouri Synod, that Church consists of the individual member churches of the Evangelical Lutheran Church. The Missouri Synod is not one of those churches; the Missouri Synod is not the Evangelical Lutheran Church. The Synod, as a corporation of individual and church members does have the authority to remove individual (pastors, teachers, etc.) and local church members from the Synod. This includes removing from synodical membership churches that unrepentantly refuse to depose their heretical pastors, etc. The failure to carry out established bylaw procedures, which have been set up on district and synodical levels to rightly determine whether a member violated a membership requirement, is unrepentant and must be removed, is not a fault of the Missouri Synod’s polity. @David #3: I also find it rather hypocritical, that we will hold the line on the New York and Connecticut incidents but not on closed communion and excommunication. What do you mean by “hold the line”? 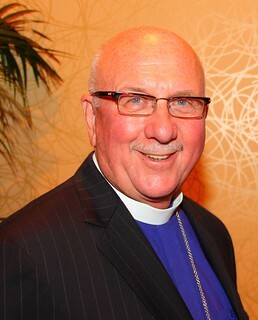 If you are referring to the synodical constitutional procedure for ecclesiastical supervision, which actually hasn’t been applied to the Newtown case (as far as we are told), the failure by various district presidents to apply it to pastors and congregational members of the Synod for their practice of open communion does not negate applying ecclesiastical supervision by a district president to a member unrepentantly participating in unionism and syncretism. Of course, if the same district president acted in one case and did not in another case, that would be hypocritical. I also find it disturbing that arbitrary changes to the order of service can be made by uninformed parish committees, as well as at the whim of the local pastor without any consensus from the synod, district or congregation. Synodical members are require to maintain “[e]xclusive use of doctrinally pure agenda, hymnbooks, and catechisms in church and school.” If they unrepentantly refuse to do so, then such synodical members should be subject to ecclesiastical supervision. Below is a quote from the letter President Harrison wrote dated Feb 1, 2013 located on the LCMS homepage under “Recent letters”. What I meant by “hold the line” is in regards to Divine Liturgy. From parish to parish Liturgy can be capricious to say the least. I attended one parish where we had corporate confession but the pastor did not pronounce absolution. In my view I find issues such as this and the ones mentioned in my last post to be more disturbing than Pastor Morris’s actions in Newtown. I know you can retort by saying that Holy Scripture does not explicitly state how we are to conduct church service so we are free to do different things, but I find this reasoning to be rather myopic and sophomoric. It is very confusing for both cradle and convert Lutheran’s to attend a service at an LCMS parish in another locale,State or even country and the Liturgy be only moderate to little familiar to the person. This causes unneccesary confusion for the congregant, much more than what Newtown and New York do to those who even know about these incidents. @David #5: What I meant by “hold the line” is in regards to Divine Liturgy. From parish to parish Liturgy can be capricious to say the least. I attended one parish where we had corporate confession but the pastor did not pronounce absolution. There are various liturgical services available in various English language hymnals the LCMS has approved for use over the past century. Any one of these are available for use. 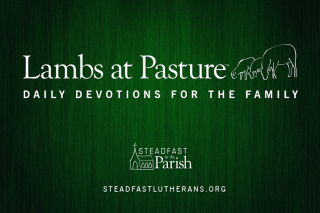 If a church service uses a liturgy that is unrecognizable from any provided in the various Lutheran hymnals, the pastor should be asked where such a liturgy came from. 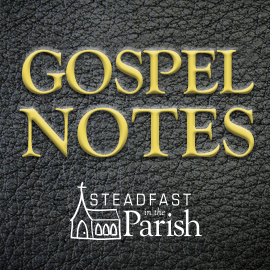 If the absolution is being omitted following the corporate confession (especially if specified in a liturgy given in the hymnal), the pastor should be asked why it was omitted. David :I also find it rather hypocritical, that we will hold the line on the New York and Connecticut incidents but not on closed communion and excommunication. David, please don’t think you are being largely ignored here. I recommend you take the small number of responses as silent assent that you are making a very good point: unionism and open communion are two sides of the same coin, apathy about what we believe. When we no longer take very seriously what it is that we teach and believe, our focus is almost certainly moved to what it is that we do — in other words, our works have become more important to us than His work for us. It is no coincidence that those who rally for unionism practice open communion. Inspirationally partner with interractive movements.